Brokers poised to win bank business? Banks may be feeling the pinch just as much as the monolines following numerous lending changes, and this just opens the door for brokers to swoop in and win business, says one professional. "Our industry is changing and government rules and regulations make an impact on the approval ratio; it is more challenging and difficult to get a mortgage approved by a big lender, ie: the bank but the monolines's service level is still requiring improvements," Angel Wong-Liao of Invis the Money Lady said on MortgageBrokerNews.ca. "An independent mortgage broker has a competitive edge to bank mortgage specialists because we can give alternatives and choices to our clients should they declined by the bank." Two big banks experienced slower mortgage growth than they would have liked but both remain optimistic for the future of that lucrative business segment. 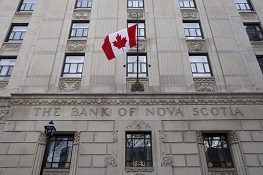 Not unlike mortgage brokers, banks have also grappled with 2012’s tightened mortgage regulation changes and Canada’s biggest bank is no exception. “I think you have seen while the mortgage business has slowed as expected, given the regulatory and consumer change in preferences, I would highlight the agility of our business model as growth in consumer demographics shifts to deposits and investments.” Dave McKay, RBC CEO said on a conference call. According to CAAMP’s spring report, banks account for 47 per cent of the mortgages originated during 2013 and up until May 2014 compared to a 39 per cent share for mortgage brokers. It remains to be seen if brokers can win a larger share. In the meantime, banks seem content to continue duking it out. Our industry is changing and government rules and regulations make an impact on the approval ratio. It is more challenging and difficult to get a mortgage approved by a big lender, ie: the bank but the monolines's service level is still requiring improvements. An independent mortgage broker has a competitive edge to bank mortgage specialists because we can give alternatives and choices to our clients should they declined by the bank.